New England Patriots quarterback Tom Brady was selected as the 199th overall pick in the 2000 NFL draft. His career began as the backup quarterback to Drew Bledsoe, and he quickly filled the starter's shoes when Bledsoe suffered an injury early in the 2001 season. That year, Brady led the Pats into the postseason as the team finished the regular season with an 11-5 record. It was all downhill from there. After defeating the Oakland Raiders on a controversial play the team went on to beat the Pittsburgh Steelers to go to the Super Bowl. It was there that the 14-point underdog Patriots went on to win their first championship. It was Brady at the helm, driving the team down the field with less than two minutes to go in a tie game. He got them into field goal range, and Adam Vinatieri kicked the game winner. Brady won the Most Valuable Player (MVP) award for the game. 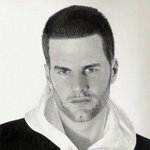 Born on Aug. 3, 1977, in San Mateo, California, Brady attended Junipero Serra High School, an all-boys Catholic school that also produced two other talented sports superstars: Barry Bonds and NFL Hall of Fame wide receiver Lynn Swann. He went to college at the University of Michigan, and in 1998 he led the Wolverines to a co-championship of the Big Ten Conference. The team went 20-5 when Brady started. 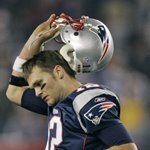 2003, Brady's fourth season as an NFL starter, would once again result in a championship. 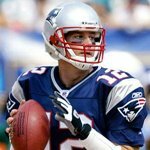 This time, during the regular season he led the Patriots to victory in 12 straight games before going into the playoffs and defeating both the Tennessee Titans and Indianapolis Colts, whose quarterbacks, Steve McNair and Peyton Manning, respectively, both shared the regular season MVP award. Once again, Brady found himself at the helm in the big game. He drove his team down the field with just over a minute to go to put Vinatieri in position to kick another game winner. The result was the second championship for the patriots in three years. 2004 would prove to be no different. The Patriots were once again the dominant team in the American Football Conference (AFC), and again Brady would stand tall at the center of the team's leadership. In week 10, the team was handed their first loss in 21 straight games dating back to the previous season, but despite this still finished with a 14-2 record. Once again the team coasted through the playoffs to its third Super Bowl win in four years, this time against the Philadelphia Eagles. 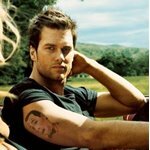 Off the field, Brady is currently dating actress Bridget Moynahan (I, Robot; Coyote Ugly). He is politically astute and aspires to one day become a United States senator; and in 2004 he attended the State of the Union Address as a guest of President George W. Bush. 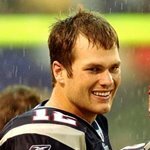 A pro football quarterback praised by no less than Sports Illustrated magazine as the most gifted player in the NFL, New England Patriots mainstay Tom Brady made international headlines for his spectacular record on the field. A California native, Brady grew up in San Mateo as the son of Tom Brady, Sr. and Galynn Brady, and attended Serra High (a private, all-boys Catholic school) and the University of Michigan, playing football for the U of M Wolverines. 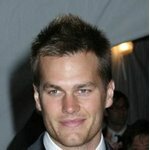 Within a year of Brady's U of M graduation in 2000, the Patriots tapped him as part of their draft, and he racked up a long string of accomplishments on the field that included leading the Patriots to three Super Bowl championships, playing in three Pro Bowls, and netting two Super Bowl MVP awards.